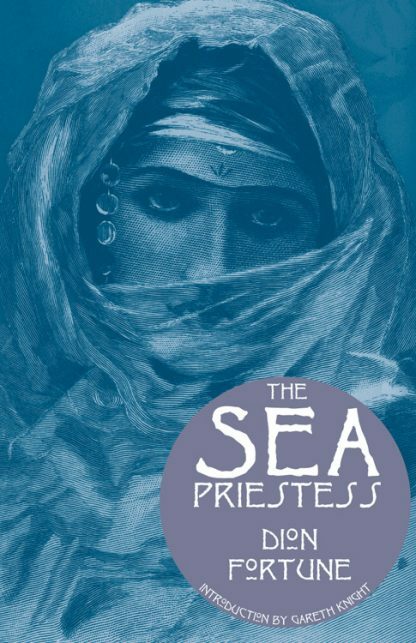 The Sea Priestess is the highly acclaimed novel in which Dion Fortune introduces her most powerful fictional character, Vivien Le Fay Morgan- a practicing initiate of the Hermetic Path. Vivien has the ability to transform herself into magical images, and here she becomes Morgan Le Fay, sea priestess of Atlantis and foster daughter to Merlin! Desperately in love with Vivien, Wilfred Maxwell works by her side at an isolated seaside retreat, investigating these occult mysteries. They soon find themselves inextricably drawn to an ancient cult through which they learn the esoteric significance of the magnetic ebb and flow of the moontides. "[This] is a book with an undercurrent; upon the surface, a romance; underneath a thesis upon the theme: "All women are Isis, and Isis is all women," or in the language of modern psychology, the anima-animus principle."